We have private party rooms available to help you host anything from a small party of 20 to a big birthday bash of over 150 family and friends. 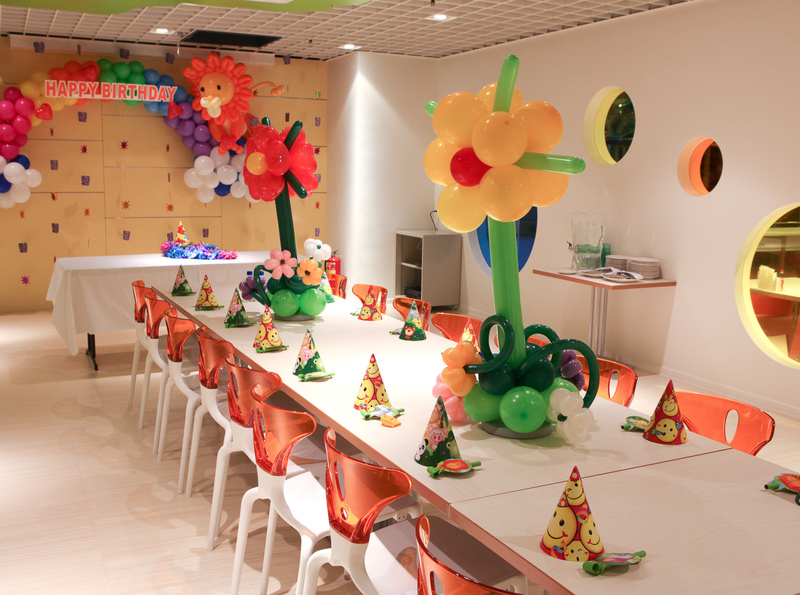 Our party specialists will help you arrange balloon decorations, a magic show, or other party add-ons to make your party your own. Four private rooms, great food, and large play areas make Leo’s Playland the perfect place for your child’s next birthday. Call us today at 02-8780-2720 and let us help you plan your next unforgettable party. We have party specialists who can cater to your every need. Play a birthday slideshow on our built-in projector or host your very own magic show, every party can be easily personalized and fun for everyone.